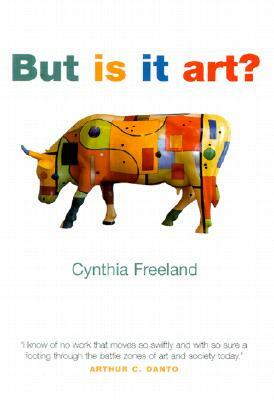 Cynthia Freeland‘s book – But is it art? 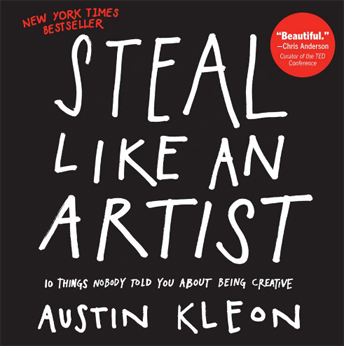 – came out before Arthur C. Danto‘s – what art is – in fact he endorses it on the front cover (sort of) – but then he tries to one up her with a sincere form of flattery = his own take on the subject. As a fan of Danto, I have to say his book is “pretty good and all,” but I’m embarrassed at what the publisher did to him (or perhaps he did it to himself) by copying the “look and feel,” to use the language of design, of Freeland’s remarkable book. Still, I think both books have their place. Freeland’s book is more accessible (which is ironic since she’s a philosopher) and Danto’s book is pretty Hegelian and over-philosophical (but then he’s a philosopher too and an art critic). Freeland sees art with the glasses of an aesthetic – she examines the various theories of art in an entertaining, non-academic, journey through time and space. What can we learn from how art is exhibited? How much it costs? Who or what is an artist? How do we assign meaning to art? etc. etc. 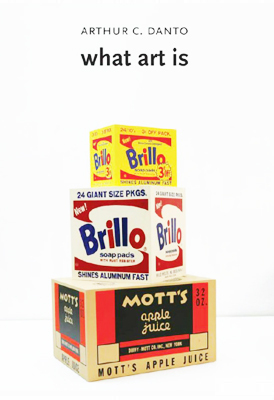 Danto insists that art is a trinity – meaning, embodiment, and interpretation. This is straight out of Charles Sanders Pierce, and while he hints at it, Danto doesn’t acknowledge it. Maybe he didn’t read Walker Percy‘s “Toward a Triadic Theory of Meaning” in The Message in a Bottle. Or maybe he did, but I doubt it. What I find interesting that both books don’t mention the grave danger facing art – the mechanization/digitization of the process of production of art. In my view the danger is the same one Hundertwasser saw when he said that straight lines and photography are the end of art. Everyone must be creative, said Hundertwasser. Otherwise, I add, you will become a living, programmable machine. Most of us already are without knowing it. Our modern rituals – shopping, moviegoing, television, gaming, rob us of our creativity and make us passive consumers of machine optimized reality. Art and Big Data collide. Art loses. Profits win. Design destroys art. Art is what keeps us human. Irrational, yet human. Art is love. There, I said it. Wake up, Barnes & Noble! Nook devices. He’s on his way out. What Barnes & Noble needs to do is think. Barnes & Noble has to remember what it is. 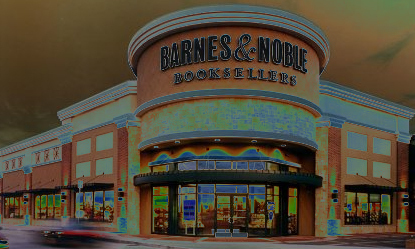 Who will save Barnes & Noble for us? Watch your customers, B&N! How’s it going J. C. Penney? The Productization of Bob Marley is one of the saddest moments in his career. Bob Marley has become Babylon. 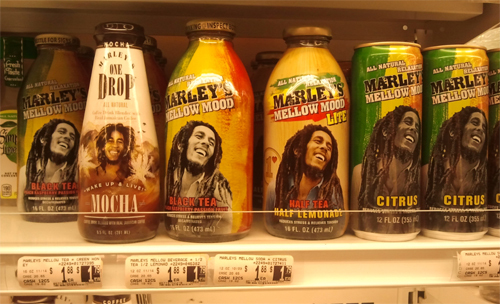 I guess even revolutionaries get consumerized… See my 2009 post on the monetization of Bob Marley. The reality is worse than I feared. R.I.P. Bob! Even though your family seems to have sold you out, your music will do the heavy lifting – dreader than dread.